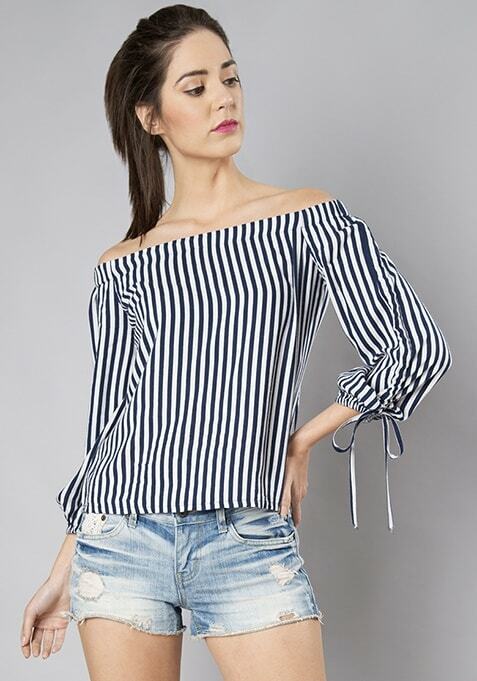 Head out for the Sunday brunch in this cute navy striped top. Features bardot style and drawstring sleeves. Work It - Looks super cute when paired with short and sneakers.